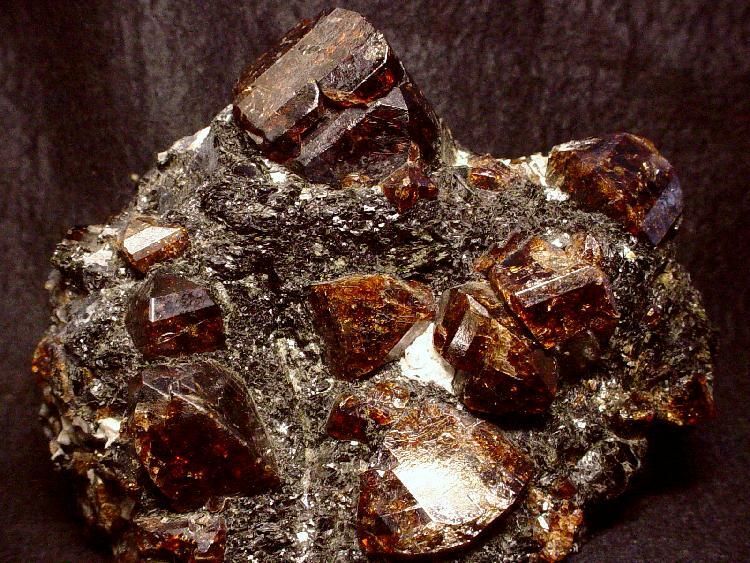 Comments: Deep red-wine colored, lustrous, internally bright zircon crystals in matrix. Location: Thorfjord, Seiland, Alta, Norway. Scale: 13 x 10.5 x 9 cm.